I have so little to say, but so much space to say it in. After much research, I’ve found that Time Warner Cable is throttling downloads to my server. 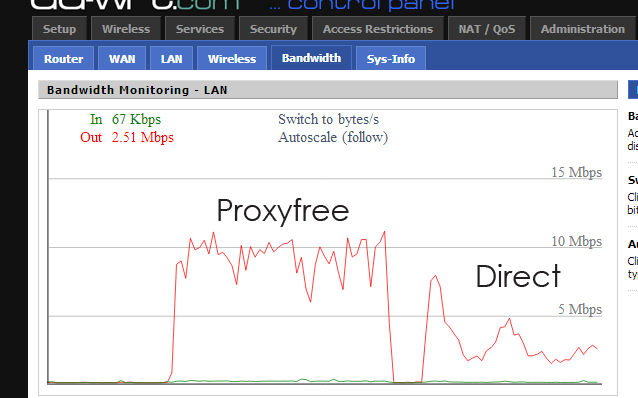 Downloading the same 200MB zip file directly from my site, or through a proxy shows 4x speed up using a proxy server. I’ve contacted Bluehost(my datacenter) and Time Warner Cable. Time Warner Cable’s tier 3 support said they do not throttle but had no idea why my issues were happening. More information on this at my thread on reddit. This entry was posted in Randomness. Bookmark the permalink.